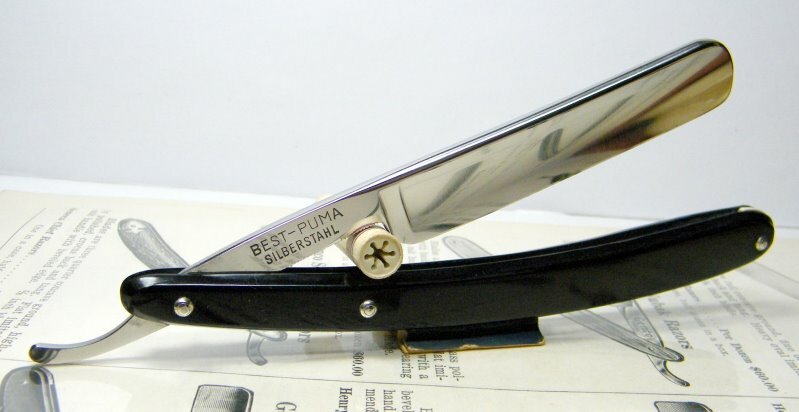 STRAZORS.com - all about classic razors - Puma 23 4/8 Solingen. 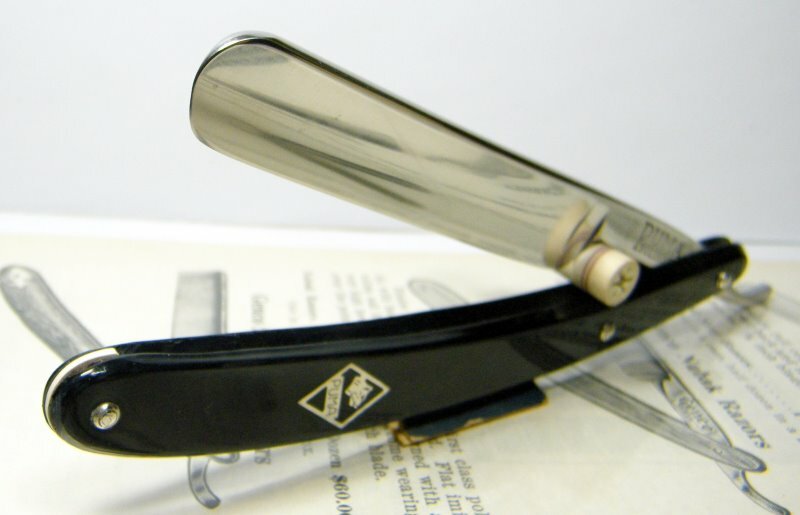 The razor was made by one of the famous German makers - Lauterjung and Sohn, Puma-Stahlwarenfabrik, later Puma-Werk. The company was founded in 1769. And it's still in business. Located Solingen in 1932 and 1983 ('GmbH & Co. KG'). Brand names: 'Capri' (1913), 'Captilo' (1920), 'Förstmeister' (1952), 'Gnat' (1920), 'High Class' (1921), 'Katzenbär' (1919), 'Madonna' (1943), 'My Darling' (1921), 'Nimrod' (1957), 'Pluma' (1919), 'Puma' (1921), 'Puma Solingen' (1926), 'Pumaster' (1963), 'Razor King' (1920), 'Rüdemann' (1977), 'Shaver King' (1920), 'Unikat' (1981). The blade is 4/8, round point, full hollow ground. Puma-Werk catalogs: 1920, 1970, 1982, 1994-95, 1996-97, 2001.